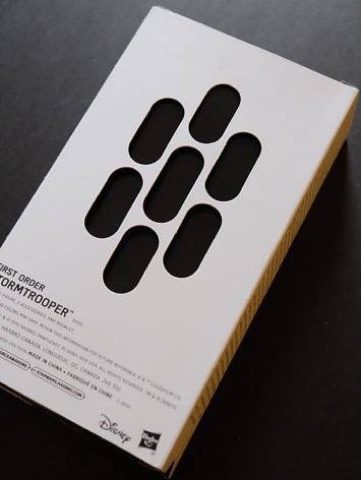 GenreOnline.net: Leaked Hasbro SDCC 2015 Star Wars: The Force Awakens Figure Pictures. 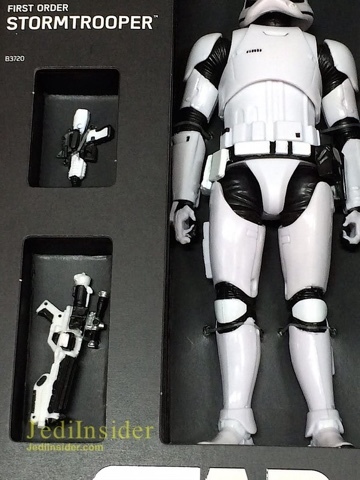 Leaked Hasbro SDCC 2015 Star Wars: The Force Awakens Figure Pictures. Below are photos I saw on Google Plus a website posted. It is not a statue, but I figure for those of you who have an inner Star Wars geek in them like me, you might appreciate just seeing what it looks like. 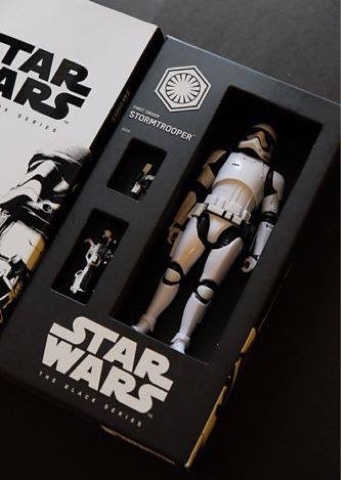 It is a Black Series First Order Stormtrooper from The Force Awakens. 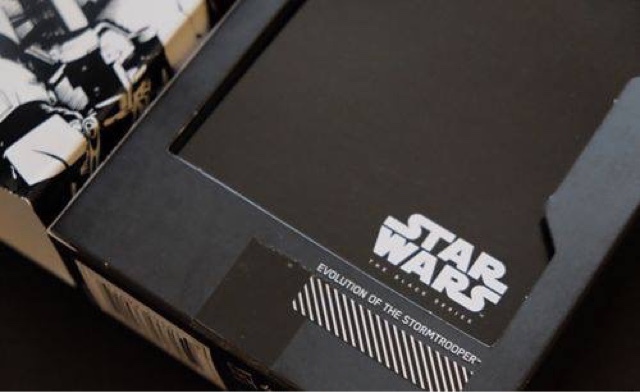 It is kind of cool to me just to see what Hasbro is releasing to get an idea of what we might see in the movie as well as just relive the excitement I had growing up going to the department store every Saturday and buying one 3 and 3/4 inch figure with my allowance. Back then I think the most one figure cost was $2.99 U.S. Dollars. So with the exception of birthday, Christmas and Halloween because I used to get a lot of money instead of candy from the elderly who had no candy, ($20 dollars seemed like a lot to an 8 or 9 year old in the 1970s.) 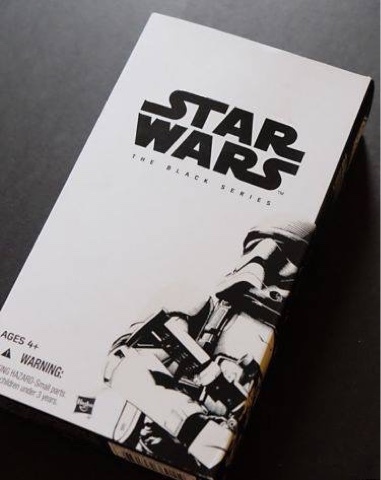 I still have to get used to the Disney logo on the box. However, to give you an idea of inflation, a 3 and 3/4 of an inch figure at my local comic shop cost almost twenty dollars today. These photos were posted by Leonard Sultana and as far as I know credit should go to his website An Englishman In Sandiego at the link below.